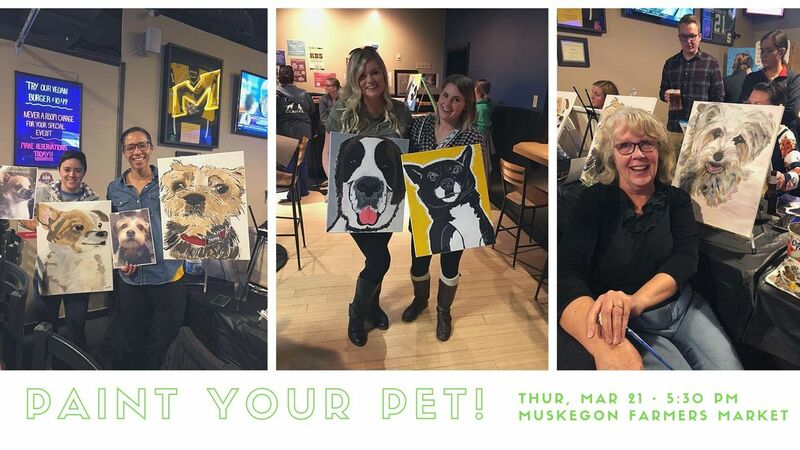 Enjoy drinks and friends while you paint a custom piece of your pet. After you register please email a picture of your pet by March 1 to amFjcXVpICEgZXJueSB8IHNob3JlbGluZWNpdHkgISBjb20=. Please include the date you are attending the event as well. Your photo will be pre-drawn onto a canvas ready for finishing touches the day of the event. There are only 30 spaces available so time is of the essence! Cost is $40 and will include heavy snacks.Beverages will be available for purchase. 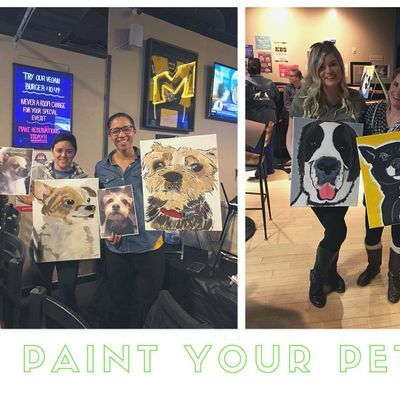 Beverages and Snacks begin at 5:30 and painting begins at 6:00.